Akihabara Anime Market - Anime Twin Cities, Inc. Being an anime fan goes hand-in-hand with collecting merchandise. Those adorable plushies and shiny keychains can be impossible to resist, no matter how many piles of them you already have at home. And there's always something new to crave - even if you have to part with some old items to make room for the new ones. There's another anime fan out there who would love to give that classic wallscroll or set of figurines a new home. How do you find them? 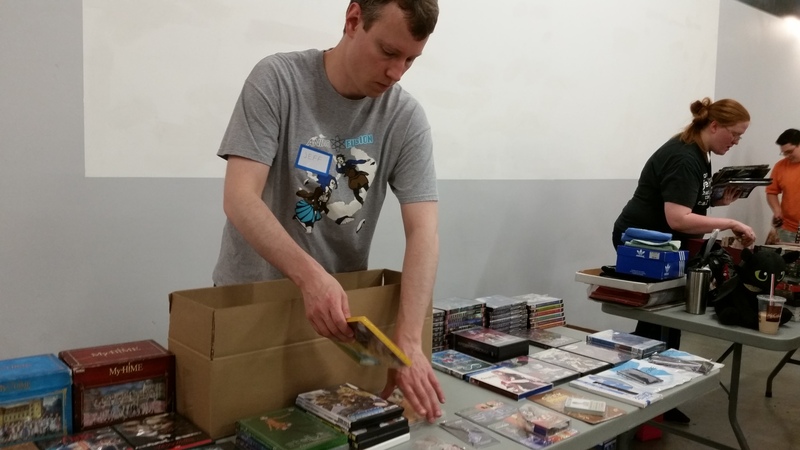 At ATC's "Akihabara" swap meet and yard sale! 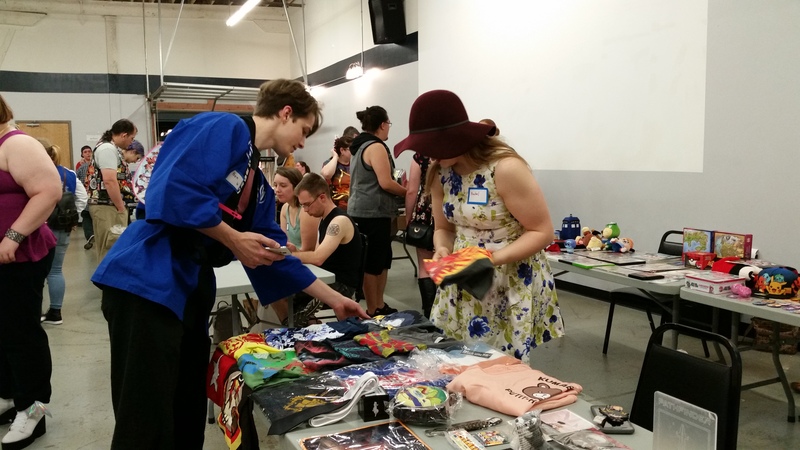 Anime Twin Cities, the non-profit parent organization of Anime Detour, invites you to clear out your closets and fill them back up again at our semi-annual flea market. At Akihabara, fans from all over come together with a wide variety of items for sale or trade. Walk-ins are always welcome, and like many of our events, admission is FREE! Our expanded summer event takes place in a larger venue and includes pro vendors in addition to the swap meet area. Swap Meet/Yard Sale: Free table space is available on a first-come, first-served basis to anyone looking to sell or trade official merchandise. Just walk in and claim an open spot. Reserved table space is available in advance for a fee. Artists and Crafters: A limited number of paid tables is available for those looking to sell their own creations. These spaces must be reserved in advance and are subject to approval. Community Tables: Local conventions and organizations may request a free table to promote themselves at the event. Social Space: The June event includes a hangout area to watch anime, have a snack, and socialize. Our autumn event is a simpler community swap meet and yard sale. Swap Meet/Yard Sale: Free table space is available on a first-come, first-served basis to anyone looking to sell or trade official merchandise. Just walk in and claim an open spot. Door Prizes: All participants and visitors are given a ticket for our hourly prize drawings. Concessions: ATC offers an expanded snack bar to raise funds for all its social activities. These policies apply to both Akihabara events. Admission and general participation are FREE! This is a public event. Anyone is welcome to bring items for sale or trade. Free table space is first-come, first-served. At high-traffic times, participants may be asked to limit their item displays to half of one table. 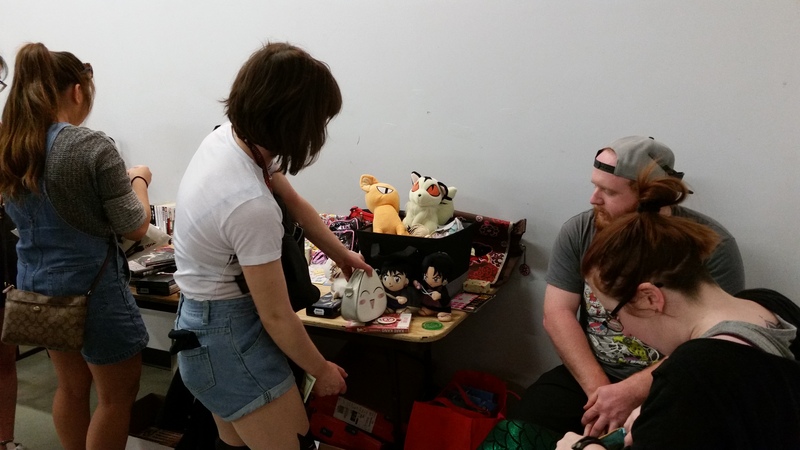 Participants are encouraged to focus on anime merchandise. Non-anime items are allowed as long as you also have anime-related items for sale or trade. Items must be appropriate for all ages to view. Adult material is not permitted. The swap meet portion of this event is intended for the exchange of inexpensive or used items. There is a maximum price limit of $25 per item being sold. More valuable items may be traded, but not sold. Paid artist tables are exempt from this rule. All items for sale in the swap meet area must be official, licensed merchandise. Unlicensed or handmade items may be offered for trade, but not sold. Sales of unofficial items, original creations, fan art, or similar products are only permitted at paid artist tables. This rule will be strictly enforced. Anime Twin Cities will not be involved in any transactions between participants. All sales and trades will be negotiated solely between the affected parties. ATC assumes no responsibility for any exchanges between those who choose to take part in this event. We cannot provide change! Please break your $20s before coming to the event and be prepared to make change if you will be offering items for sale. Outside food and drink are not permitted at the June event. Any questions can be sent to the ATC SOS Coordinator at social@animetwincities.org.